The Center for the Arts OnTheGo series presents a double-bill dance party featuring two of the area’s hottest dance bands, Mojo Green and Kadija, on Saturday, November 17 at the Grass Valley Elks Lodge. 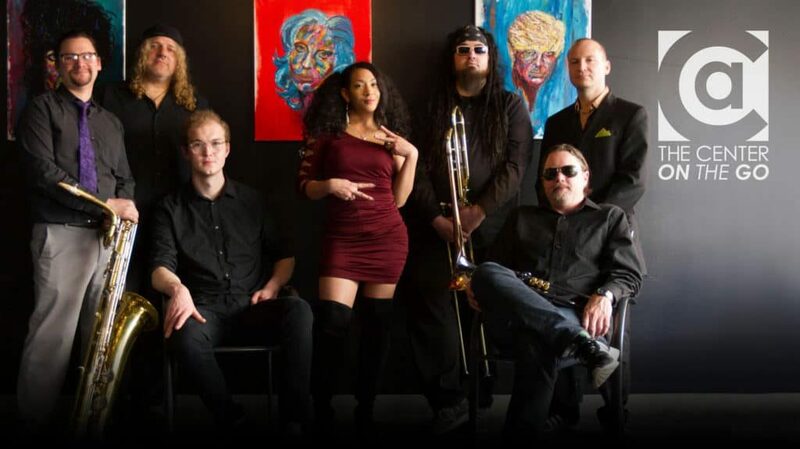 Mojo Green is a 7-piece funk band from Reno featuring a high energy, hard-hitting horn section. Their albums “Funk in Public” and “Soul Phatasaxtion” won Best Albums of Northern Nevada from the Reno News and Review and the 2017 Forte’ Award for Best R & B Soul Band Performance. Their west coast tours have included performances at The Great American Music Hall, The Independent, The Chapel, Sweet Water Music Hall, Mateel Music Fest, TreeFort Fest, Hangtown Halloween, For The Funk Of It, Squaw Valley Funk Fest, The Bounce, Ridgestock, Burning Man, Guitarfish, Sandpoint Summerfest and more. They’ve shared the stage with Lyrics Born, Karl Denson’s Tiny Universe, Lettuce, The Funky Meters, The Motet, Trombone Shorty, Orgone, Dumstaphunk, Galactic, Big Sam’s Funky Nation, Turkuaz, The Monophonics, Rusted Root and Poor Man’s Whiskey. Kadija is the sonic, coming of age story of the Diaspora featuring the musical duo musician/producer Aja Salvatore and singer/songwriter Melike Konur. Equal parts funk/soul/jazz heavily inundated with breakbeats and African rhythms. Singer Song/writer Melike Konur is a self proclaimed Afro-Turk spending the last 5 years reconnecting to her paternal homeland of Istanbul, Turkey. At once nostalgic for a time where temples devoted to Aphrodite were alive in the fertile valleys of the Mediterranean; she also taps in to the aching voices of her maternal lineage of West African ancestors. 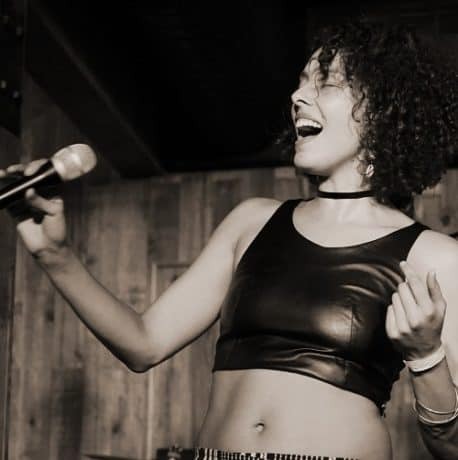 Since hitting the professional stage at 14 at the Kennedy Center, Melike has worked with Debbie Allen, Orchestra Italiana del Cinema, members of Incognito, and studied jazz at Point Park Conservatory of the Arts. Aja Salvatore is a drummer and guitarist with roots in jazz and an extensive background of studying in Mali Africa. He was a student of the late renowned guitar master Zani Diabate and djembe grand master Abdul Doumbia. He is also a film producer and spearheaded the film, Music in Mali: Life is Hard Music is Good, along with Grammy award winning sound engineer, Oz Fritz. As an artist Aja has worked intimately with Bill Laswell, Toumani Diabate, Cyhi the Prince, Fat Trell, Les Nubians, Earl Chinna Smith, and Danny Glover. As composer and rhythmic maestro of Kadija, Aja guides the listener gracefully into complexity.